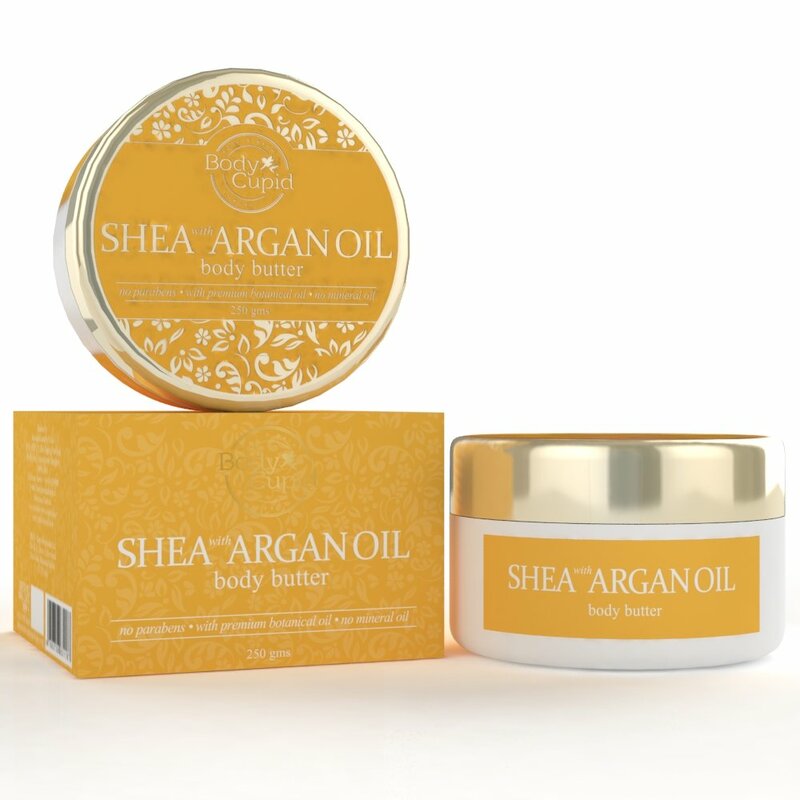 Pamper and protect your skin with body cupid's shea with argan oil body butter and watch it become soft and dewy fresh. A precious blend with pure argan oil - also known as liquid gold due to its skin-nurturing goodness - it also contains shea and cocoa butters along with several other botanicals to give you total protection from elemental skin damage. Its nourishing formulation is ultra rich in vitamin e and essential fats that soothe, heal and restore your skin's natural glow.